Trying to get close and personal with Alberta’s Nature? Rent an RV from one of the local rental companies and hit the road…. Are you planning to explore the Rocky Mountains, Banff or Jasper? It’s a wonderful idea because this is one of the most beautiful parts of Canada. The most convenient way to explore this beauty of nature and live an unforgettable experience is by traveling in an RV or campervan. It’s the best way to meet the Mother Nature…. 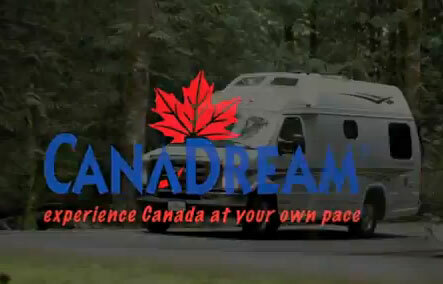 CanaDream offers five selections of motorhome styles that are sure to suit your travel style. Your options include the Maxi Motorhome, Midi Motorhome, Super Van Camper, Maxi Travel Camper, and Deluxe Van Camper, all of which have something different to offer. What is even better is that CanaDream offers free shuttle service to their Calgary Station from a number of hotels. Go West RV is the only camper rental company that offers and guarantees diesel units on Mercedes Sprinter chassis. Their fleet of RVs is the cleanest and best maintained, and comes with convenience kits that are sure to make your life easier on the road. One-way rentals are available between Calgary and Vancouver. Cruise Canada provides 3 types of RV rentals: Compact RV, Standard RV and Large RV that sleeps 3, 5 and 7 people, respectively. There are 6 rental centers available, with one in Calgary. Similar to other rental arrangements, the earlier you book, the lower the rental price. Use the Online Estimate and Reservation tool to determine how much you will pay for an RV rental. 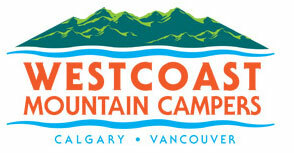 Westcoast Mountain Campers has been providing travelers with a friendly RV service for 30 years. 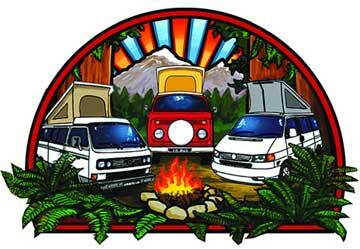 Choose from Motorhomes, Van-conversions and Truck Campers to rent on your next adventure. Your booking package comes with transfers from airports and downtown area. Fraserway RV is a dealer and renter of a great selection of RVs operating since 1969. Their fleet includes tent trailers, fifth wheels, toy haulers, travel trailers, Class C motorhomes, and Class A motor coaches. Fraserway offers a Fall Travel Special where you can rent any C-Class motorhome for just $99/day. Affordable RV offers ‘affordable quality rental plan’, designed to help you enjoy the sights of Canada and make a decision towards buying your own RV. You can use all their units for a minimum of a one-week rental period. Rent a travel trailer or tent trailer for less. Canadian Leisure RV is among the longest standing RV dealers. And like not many in this field, they also rent out quality Flagstaff tent trailers. What makes them different is the way they allow customers to familiarize the use and operation of an RV, which guarantee a better driving experience. Minimum rental is at least one week. Operating since 1991, Canadian RV Adventures is a small family-operated company that provides quality motorhomes and other vehicles to clients, looking to explore Canada with great convenience. The company also offers one-way rentals. Most RV camper rentals have 3 beds and sleep 6, but larger units are also available. There are several interesting tourist attractions in Calgary that the whole family will enjoy. A discount camper RV rental Calgary Alberta Canada, can make it easier. You can do the tourist thing during the day and then retreat to the comfort of your motor coach for meals, relaxation and sleep. One thing not to be missed is the Calgary Stampede. It is a 10 day festival with Chuck Wagon races, Rodeo events and a great "Grandstand Show" every evening. Before you sign an RV rental contract ask for the Good Sam Club member discount. If you aren’t a member, you should join now. In addition to any camper discount the club offers discounts on a roadside assistance program and on campground sites in the U.S. and Canada. The Good Sam Club also offers other benefits to owners of recreational vehicles. If you decide to get a discount camper RV Calgary Alberta Alb. Canada for a week or more, almost all rental agencies will give you a discount of 10 to 15 percent. The longer your rental period the larger the discount will be. Are you booking a mobile home from a dealer you have used before? Ask for a repeat customer discount. If you are willing to take your Calgary vacation between November and March, you can usually get big discounts on motor homes, since not many people are renting RV’s at this time and companies are willing to give serious discounts to attract business. All kinds of recreational vehicles are covered by a discount RV rental in Alaska (California, Florida) or Calgary.